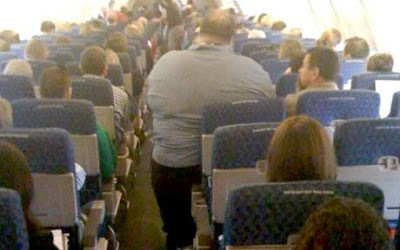 American Airlines Flt No 555, you are cleared for takeoff. Tom Jones: - It's a good night to be abroad and looking for game. Normally I don't talk about US policy except through the lens of tech but the perceptive article from the NY Times titled Taliban Open Northern Front in Afghanistan compells me to say something about futility, George Armstrong Custer and why Afghanistan is a loss leader along the lines of 'Nam. 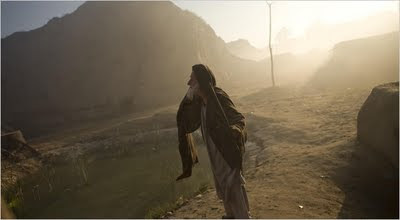 For starters, the Taliban don't have to win, just persevere. The US will not be in Afghanistan forever so just showing up is enough. Afghanistan is a huge country, inhospitable to occupiers as seen throughout history via defeats placed on Alexander the Great, the British and the Russians. Now it's our turn and Obama and the military just don't get it. To top it off, we are contemplating negotiating with the Taliban while trying to root out e-Qaeda, the terrorist organization which may or not be even a force in this war torn nation and who may be supporting the Taliban, the erstwhile enemy/collaborator? that we may or may not be fighting against in Afghanistan as both organizations consist of fanatical Sunni Muslim operatives. Note: We haven't even discussed the corrupt US backed Karzi government which is distrusted by a large segment of Afghans, a situation eerily reminiscent of the distrusted South Vietnam government backed by the US during the Vietnam war. Note II: We won't discuss the economic impact either as the defense budget already is almost 700 billion this year and counting while the US shuffles toward bankruptcy and Wall Street takes in 13 trillion of tax payer money. Same as it ever was - Talking Heads. Alice in Wonderland has nothing on this hall of mirrors which includes the ongoing undeclared war with Pakistan designed to 1. minimize the influence of the Taliban in that nation while negotiating with the same entity in Afghanistan and 2, destroy e-Qaeda base camps located in the hinterlands of West Pakistan through the use of remote control Predator Drone attacks that often kill innocent civilians in the process. Makes sense doesn't it? After reading the Washington Post piece titled Newly deployed Marines to target Taliban bastion, it appears Obama has little problem with Churchill's comment. Oh, I forgot about Custer..."As the Army moved into the field on its expedition, (the Little Bighorm - ed) it was operating with incorrect assumptions as to the number of Indians it would encounter. All Army plans were based on the incorrect numbers. 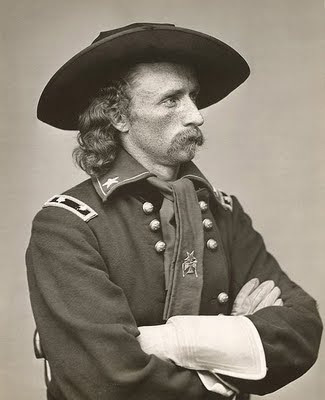 While after the battle, Custer was severely criticized for not having accepted reinforcements and for dividing his forces, it must be understood that he had accepted the same official Government estimates of hostiles in the area which Terry and Gibbon also accepted. "WASHINGTON — The United States government is financing its more than trillion-dollar-a-year borrowing with i.o.u.’s on terms that seem too good to be true. Treasury officials now face a trifecta of headaches: a mountain of new debt, a balloon of short-term borrowings that come due in the months ahead, and interest rates that are sure to climb back to normal as soon as the Federal Reserve decides that the emergency has passed." And we even haven't discussed Iraq, Afghanistan and the defense budget as prime drivers of same. Sounds like Bush Lite to me. To get more info, the NY Times Debt Bomb is a viable way to go. On his Journal, Moyers went back to the historical record, to selected but revealing tapes of Johnson's own phone calls with his colleagues and appointees-yes he wiretapped himself the way Nixon did years later-and those calls showed how he agonized over whether to escalate the war, a course of action he knew could not succeed. The parallels with the present day, and the upcoming decision by President Obama to escalate the war in Afghanistan are unmistakable and undeniable. There was the cunning LBJ boiling down the options to getting out or going in deeper, or perhaps "neutralizing" the situation with trainers and economic aid. He, of course opted for the third choice at first-just as Obama has-until it was clear it was not working and we and that our corrupt client state was losing. As his perceived options narrowed, so did his course of action. As Republicans then demanded "victory," as the military (The Joint Chiefs) clamored for a higher draft and more troops, LBJ began to fear being accused of tucking tail and running, a big no-no in a culture in which Americans see themselves as perpetual winners, the toughest guys on the block. He could not, in his view, be the President who "lost" Vietnam the way his predecessors were accused of losing China-as if those countries were ours to lose! And so slowly-as we saw, or rather hear, Johnson escalated, stage by stage, often on the basis of false "intelligence" as in the Tonkin Gulf incident that wasn't. Step by step, the third option was abandoned and the military option was embraced. One infusion of troops was followed by another as the war worsened with tens of thousands of US deaths and casualties and millions of Asian victims. Trapped by his own limited logic, and cautiously pragmatic style. LBJ gave up his principles, compromised on his convictions, and his "Great Society" and Presidency became a disaster. He later quit politics, a broken man. Moyers clear point in the poorly watched PBS Public Affairs Friday Night Ghetto was clear-it is about to happen again. "We will never know what would have happened if Lyndon Johnson said no," he concluded. "We do know what happened because he said yes." It was brilliant television, informative journalism of the kind we rarely see, all driven by the words and voice of the man who was once his own "boss." We saw how the logic of escalation supplanted all other logic and, then, logic itself. The tragedy of 'Nam was not only the needless deaths it caused but also how it crippled the funding of Johnson's Great Society initiative intended to change America for the better by instituting innovative programs to effectively deal with the problems of racism, poverty, education and health care in the same can do attitude as that of FDR during the Great Depression. 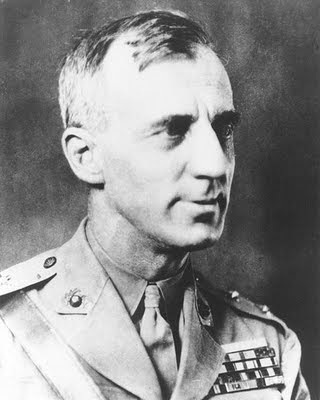 Hopefully Obama will read War is a Racket by Smedley Butler before it's too late. 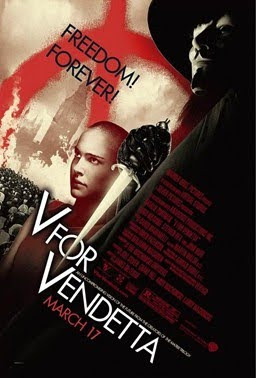 Copyright in the UK will resemble the dictatorial government V fought against in the V for Vendetta film as this effort to control information can be the start point for dictatorship in England. At the very least, the UK will lose big time in terms of the web because no one will want to do business in a place where surveillance is king and power goes to the unelected. Sounds like 1984 and the Thought Police doesn't it? A source close to the British Labour Government has just given me reliable information about the most radical copyright proposal I've ever seen. Secretary of State Peter Mandelson is planning to introduce changes to the Digital Economy Bill now under debate in Parliament. These changes will give the Secretary of State (Mandelson -- or his successor in the next government) the power to make "secondary legislation" (legislation that is passed without debate) to amend the provisions of Copyright, Designs and Patents Act (1988). The dark side of the Darknet beckons if the Brits actually attempt to control the flow of information by doing something as stupid and scurrilous as this. 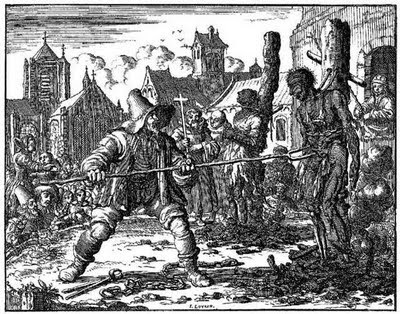 If people let this happen, V's speech regarding the loss of freedom could come to pass. 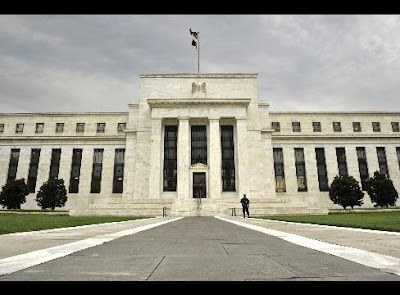 The measure, cosponsored by Reps. Ron Paul (R-Texas) and Alan Grayson (D-Fla.), authorizes the Government Accountability Office to conduct a wide-ranging audit of the Fed's opaque deals with foreign central banks and major U.S. financial institutions. The Fed has never had a real audit in its history and little is known of what it does with the trillions of dollars at its disposal. The amendment expressly blocks Congress from interfering with the independence of monetary policy decision-making, but opponents of the measure said that the political pressure would inevitably follow. "Even as drug makers promise to support Washington’s health care overhaul by shaving $8 billion a year off the nation’s drug costs after the legislation takes effect, the industry has been raising its prices at the fastest rate in years. In the last year, the industry has raised the wholesale prices of brand-name prescription drugs by about 9 percent, according to industry analysts. That will add more than $10 billion to the nation’s drug bill, which is on track to exceed $300 billion this year. By at least one analysis, it is the highest annual rate of inflation for drug prices." Every once in a while an article comes out that answers a question I have had in my mind for years. The question: How can insects think with such power when their brain size is miniscule at best? Now I know thanks to a post on Current Biology titled Are Bigger Brains Better? Attempts to relate brain size to behaviour and cognition have rarely integrated information from insects with that from vertebrates. 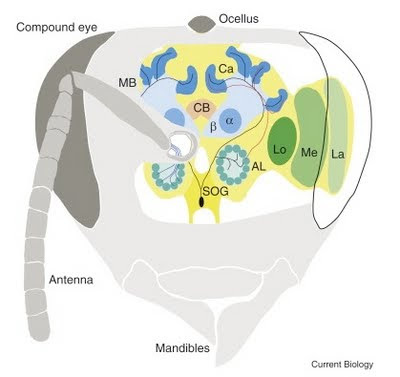 Many insects, however, demonstrate that highly differentiated motor repertoires, extensive social structures and cognition are possible with very small brains, emphasising that we need to understand the neural circuits, not just the size of brain regions, which underlie these feats. Neural network analyses show that cognitive features found in insects, such as numerosity, attention and categorisation-like processes, may require only very limited neuron numbers. Thus, brain size may have less of a relationship with behavioural repertoire and cognitive capacity than generally assumed, prompting the question of what large brains are for. Larger brains are, at least partly, a consequence of larger neurons that are necessary in large animals due to basic biophysical constraints. They also contain greater replication of neuronal circuits, adding precision to sensory processes, detail to perception, more parallel processing and enlarged storage capacity. Yet, these advantages are unlikely to produce the qualitative shifts in behaviour that are often assumed to accompany increased brain size. Instead, modularity and interconnectivity may be more important. After reading this amazing piece, one readily understands that efficiency of brain configuration is often of greater consequence than size, something also seen in the extraordinary intelligence of parrots as seen in a earlier BRT post titled Alex, we hardly knew ye. Not only was Alex smart, (he understood colors, categories and numbers) he also was easily bored if the experiments he participated in were not up to snuff in challenging his intellect. 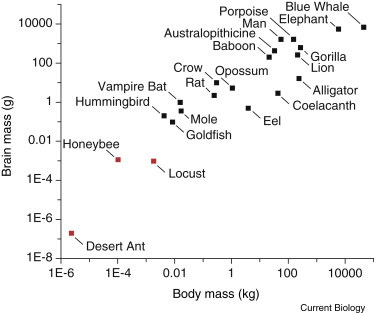 Seen below is another graphic from the CB writing showing how body mass is a predictor of brain mass in animals. As follow up, check out Physorg's perceptive take on the CB posting. Chittka says: "In bigger brains we often don't find more complexity, just an endless repetition of the same neural circuits over and over. This might add detail to remembered images or sounds, but not add any degree of complexity. To use a computer analogy, bigger brains might in many cases be bigger hard drives, not necessarily better processors." This must mean that much 'advanced' thinking can actually be done with very limited neuron numbers. Computer modelling shows that even consciousness can be generated with very small neural circuits, which could in theory easily fit into an insect brain. But European researchers in the MESH project have developed an integrated platform which they say, for the first time, can combine semantic search -- or search by the meaning of the words -- and a host of associated tools to deliver more relevant information, from a wide variety of sources that can be accessed from an individual user. The platform can search annotated files from any type of media -- photographs, videos, sound recordings, text, document scans -- using a host of techniques including optical character recognition, automated speech recognition and automatic annotation of movies and photographs that track salient concepts." BRT talked about this from the perspective of OWL and RDF in The Semanatic Web Cometh, a piece discussing how formats and data transparency combined with the aforementioned languages presages an age of computers accessing data as easily as us. 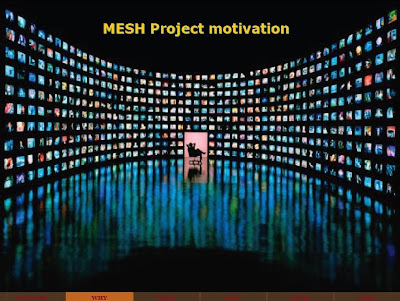 Now, the MESH Project is moving this tech into a reality space we are accustomed to, the world of multimedia connected to high end presentation. VizSeek is one of the first search engines on the Internet to use a photograph, a 2D image, or a 3D model and transform it into a 3D shape. The search can be narrowed with additional information. The image-seeking search engine produces search results in a matter of seconds. In the Times article ... Dr. J. Allan Hobson, a psychiatrist and longtime sleep researcher at Harvard, argues that the main function of rapid-eye-movement sleep, or REM, when most dreaming occurs, is physiological. The brain is warming its circuits, anticipating the sights and sounds and emotions of waking. Sounds like booting up a computer to me. "Researchers have a way to go before they can confirm or fill out this working hypothesis. But the payoffs could extend beyond a deeper understanding of the sleeping brain. People who struggle with schizophrenia suffer delusions of unknown origin. 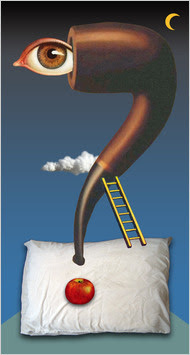 Dr. Hobson suggests that these flights of imagination may be related to an abnormal activation of a dreaming consciousness. “Let the dreamer awake, and you will see psychosis,” Jung said." In an earlier articled titled Predator Tech, BRT discussed the potential of invisibility cloaks and how it was becoming science fact and not science fiction. One big problem regarding how this technology would work centered on the question of what would a cloaked object look like. In the past, there was no way of "seeing" this effect but this inconvenient constraint no longer applies. Scientists and curiosity seekers who want to know what a partially or completely cloaked object would look like in real life can now get their wish -- virtually. 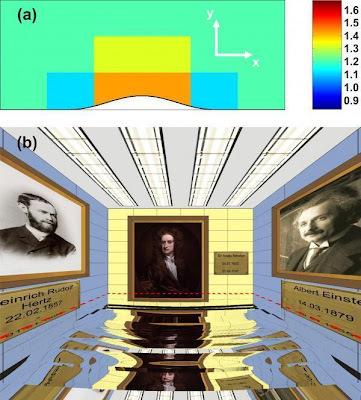 A team of researchers at the Karlsruhe Institute of Technology in Germany has created a new visualization tool that can render a room containing such an object, showing the visual effects of such a cloaking mechanism and its imperfections. 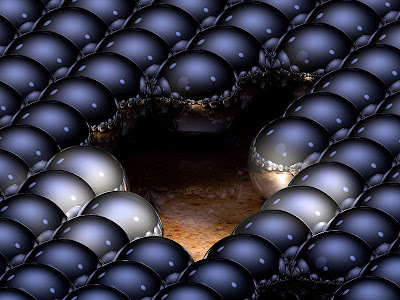 Note: TRON was the first graphic example of what could be created using Ray Tracing as this imagining technique, combined with Radiosity, is considered to be the most accurate way to depict reality. Click here to get the PDF detailing this research. It's a good read for sure. 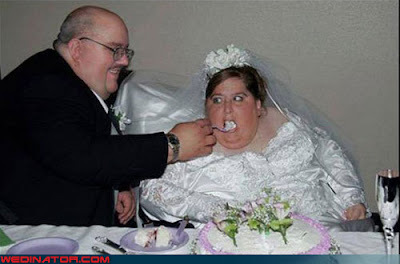 Finding stuff on the web, particularly regarding pictures, is an arduous process at best, until now. "When you search Google Images, you type in a term and it gives you returns from pages that have that text in them. We want to be able to upload an image and use it as a model for finding similar images," Milanfar said. Milanfar and Seo developed an algorithm that enables automated recognition of both objects in images and actions in videos. The software analyzes an image or short movie and characterizes the most important constituents of the object or action represented. It can then search for those constituents in image and video databases. The researchers presented their new methods at the IEEE International Conference on Computer Vision in September and in a recent paper published by the IEEE Transcripts on Pattern Analysis and Machine Intelligence. 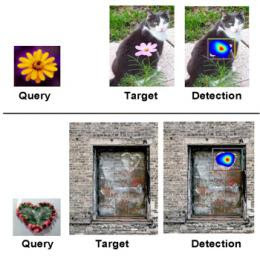 Existing technology can search for and distinguish individual objects in a database of images only after running through a time-consuming training phase. "If you're looking for images of bicycles, for instance, current algorithms have to be shown pictures of hundreds, if not thousands, of bicycles in order to be able to recognize a bicycle," Milanfar said..
With his new software, a single photo of a bicycle at night can be used as a template to locate pictures of bicycles in full sunlight, in the foreground or the background. 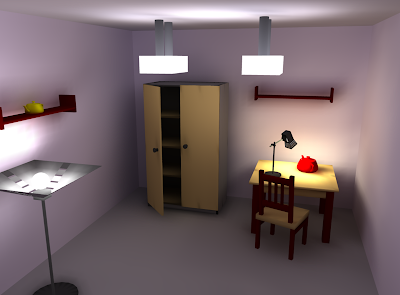 It works under a wide range of image qualities and lighting discrepancies. The template image or the target image can be sharp or out-of-focus, clean or noisy. To Milanfar's software, a bicycle is a bicycle. Similarly, a person riding a bicycle is a person riding a bicycle. Video of Lance Armstrong in the Tour de France can be used to find clips of men and women riding along an ordinary street. The intelligent web is coming. Walking is controlled falling. We shift our balance from side to side and the body responds using complex muscle control, sophisticated kinetic feedback and real time recursion to make it happen. Scientists are now starting to develop tech able to harvest energy from non linear motion sources like walking, wind and tidal currents. Pretty cool approach to the energy crisis to say the least. "The range of applications for non-linear energy harvesters varies widely. For example, Mann is working on a project that would use the motion of ocean waves to power an array of sensors that would be carried inside ocean buoys. "These non-linear systems are self-sustaining, so they are ideal for any electrical device that needs batteries and is in a location that is difficult to access," Mann said. For example, the motion of walking could provide enough electricity to power an implanted device, such as a pacemaker or cardiac defibrillator. On a larger scale, sensors in the environment or spacecraft could be powered by the everyday natural vibrations around them, Mann said." 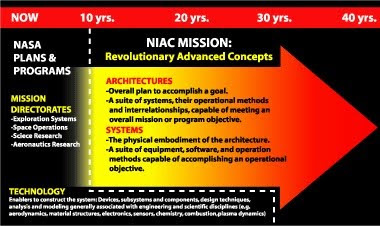 For just less than a decade, NASA’s Institute for Advanced Concepts was the staid space agency’s big-vision mashup of Willy Wonka’s factory, DARPA and your crazy uncle’s garage workshop. And now experts want to bring it back. The genius is in the generalities, and not the details. The new idea illuminates a pathway toward an expansion of knowledge and may address a significant roadblock. It inspires others to produce useful science and further elaboration of the fundamental idea. It triggers a transformation of intuition. Revolutionary paradigm shifts are simple, elegant, majestic, beautiful and characterized by order and symmetry. Sounds like creativity to me. 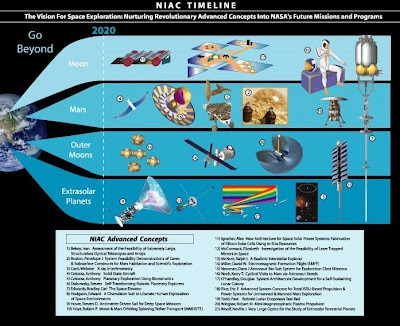 To get more info on the crazy side of NASA, click here. Pretty awesome I must say.